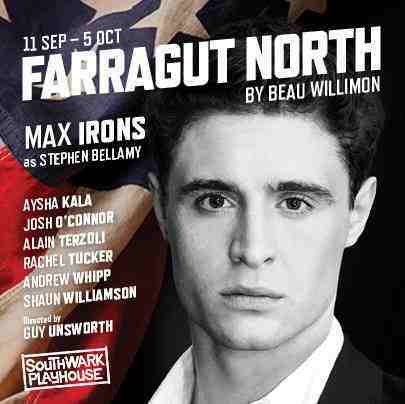 This week Farragut North at the Southwark Playhouse starts it's 3 week run. I've been working alongside a very talented Composer, JudeObermuller and we've been putting his score into the Southwark's, new, Large Space. Although in a fairly difficult 'thrust' setup we had some fun playing with layers of his music and locating it in different spots around the room, hoping to add another dimension to it.